Power to your left hand. Forged from Japanese stainless steel, the Joewell LSF is a larger sized left-handed scissor that's perfect for barbering and all left-handed cutters who like a bit more heft in their scissors. The LSF features convex blades for high performance slice cutting. These are held together by a nearly flat, adjustable tension screw for a slim profile and ultimate fine tuning. 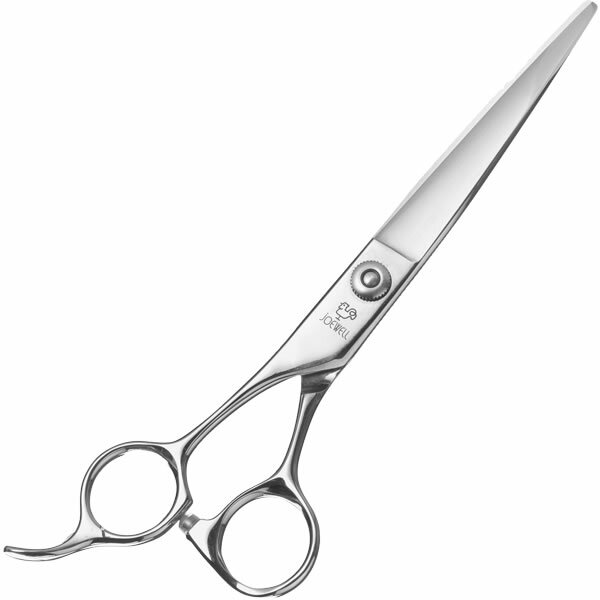 There are offset handles to keep your hand in a relaxed position when cutting, reducing strain on your wrist. The fixed finger rest supports your little finger for extra comfort. The Joewell LSF comes in 2 sizes: 6.5 and 7 inches. £408.00 (inc. VAT) Why no VAT? We're a trade wholesaler and quote our prices without VAT to help our VAT-registered customers understand the true cost of a purchase.